This is pretty interesting for our readers… Piuttosto interessante per i nostri lettori. Cercheremo di tradurlo presto. Roan, like grey, is a pattern gene which sprinkles white hair over an otherwise normally pigmented animal. However, the pattern of white hair, the progression with age and the response to scarring are quite different from grey. It should be pointed out that horsemen use the word “roan” quite loosely. 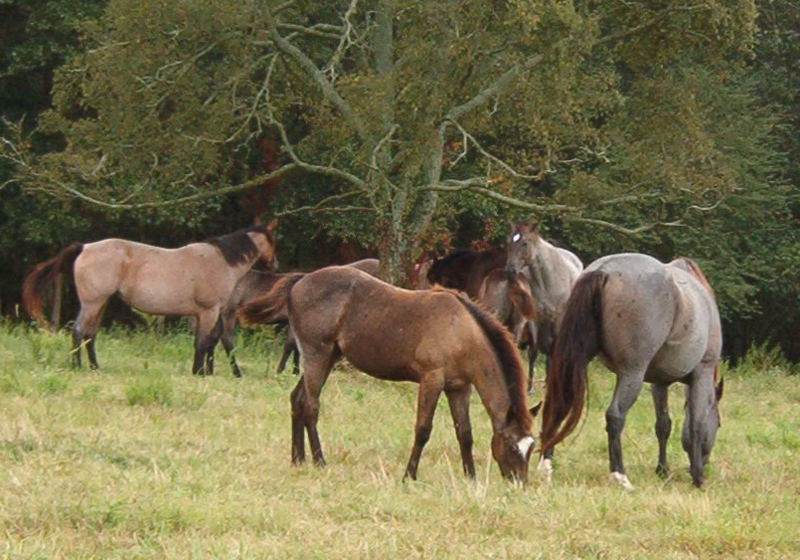 In Thoroughbreds, for instance, it is used as a synonym for grey, particularly rose grey. There are several forms of roan covered by this loose usage, but the one discussed here is classic roan, which is due to the dominant roan gene. Frosty roan, varnish roan, roaned, rabicano and the roaning caused by some white spotting patterns will be discussed separately. By Editor in News, Tecnica&Dati on 15/12/2012 .